Happy hump day peeps! Hope your week is going well. I have a cool post to share today. My friend Sam and I randomly decided to do a twin mani and it was last minute but I love how the came out! 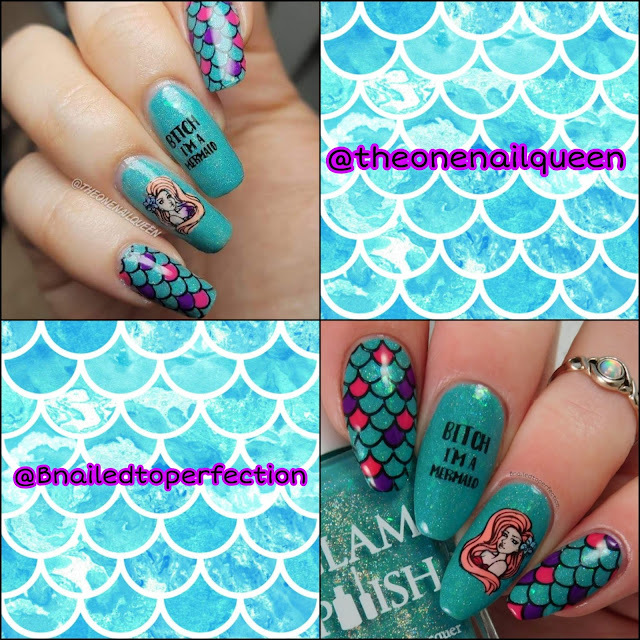 We used a mani that Twi-Star did as inspiration and of course we had to use her collab plate with Bundle Monster. How beautiful is this base colour?! 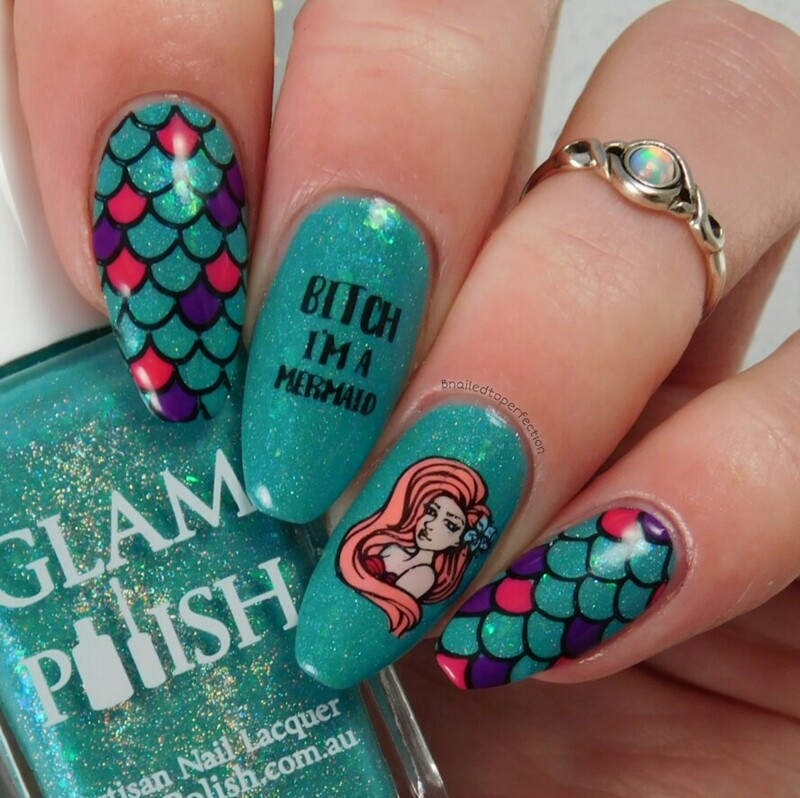 It's Making a Splash from Glam polish and it was a group buy only for their fan page. It was Sam who bought this for me and I'm so glad! We both used the same base and them used similar colours for the colouring in parts. 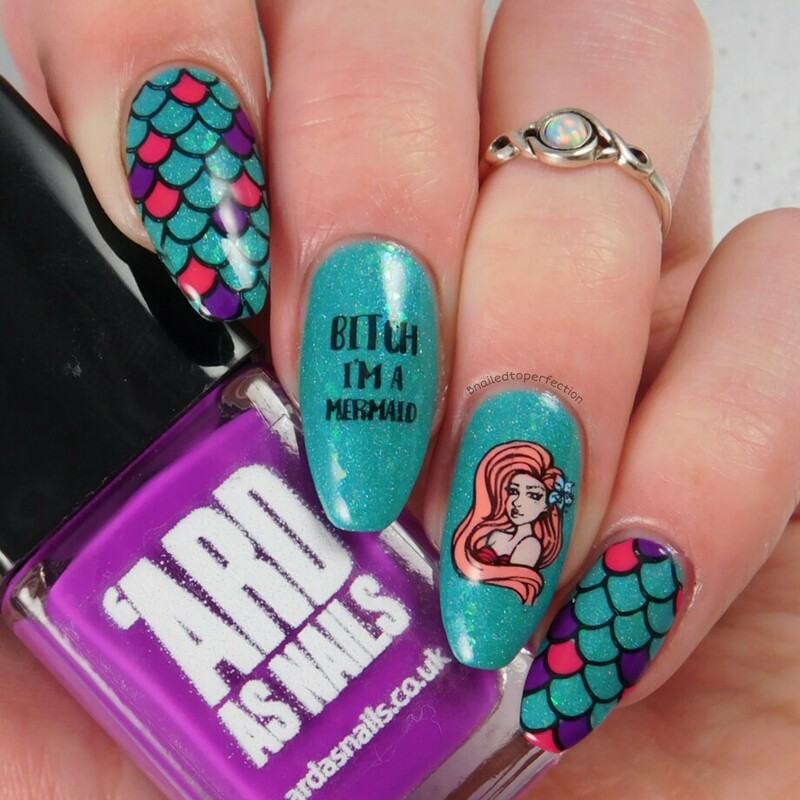 Then for the scales we both used some neons from Ards as Nails. Come on Eileen and Lucky Star. I really love how they look over the base colour. They really pop! If you want to see how I did this mani go subscribe to my YouTube channel as the tutorial will be up tomorrow. Here's Sam's mani! 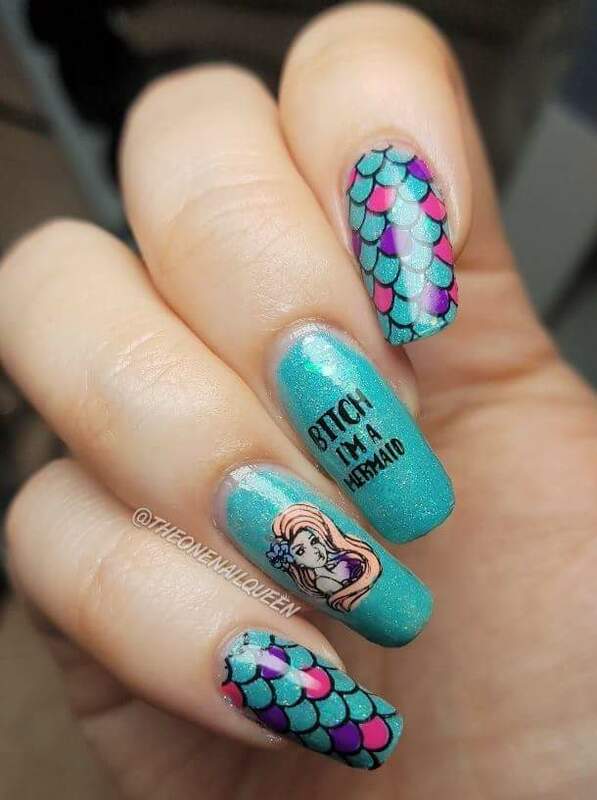 Isn't it lovely and how gorgeous are her nails?! What do you guys think of our Twi-Star inspired twin mani?